Student leaders are an integral part to the success of community outreach programs. Student Leaders work closely with program participants and community partners to ensure a meaningful service experience. They are responsible for volunteer recruitment, program planning, and implementing service that meets self-identified community needs while also promoting reflection about social issues. Student leaders are supported by a number of peer and professional resources. 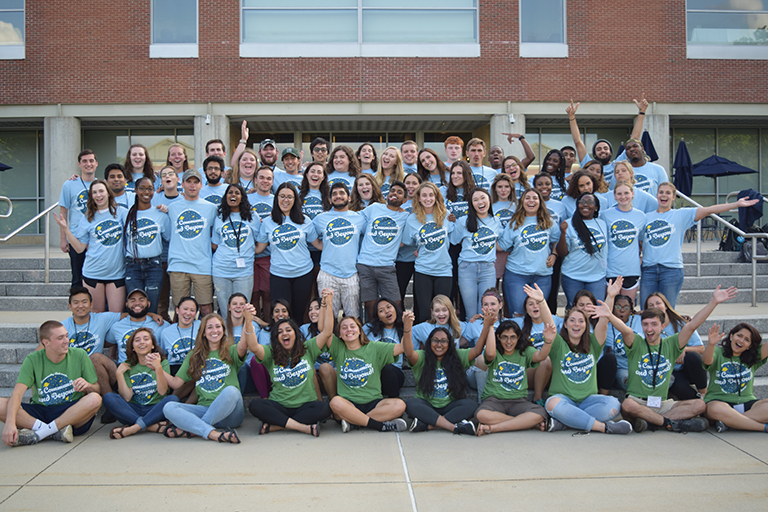 They attend a week of training before the start of the fall semester to develop leadership skills, build collaboration among student leaders, and prepare for their programs and operations. Throughout the year they participate regularly in their programs and maintain frequent communication with Community Outreach staff and their community partners.